In a scene straight out of the 1960s, New York City played host to what's being called the largest climate march in history on Sunday. 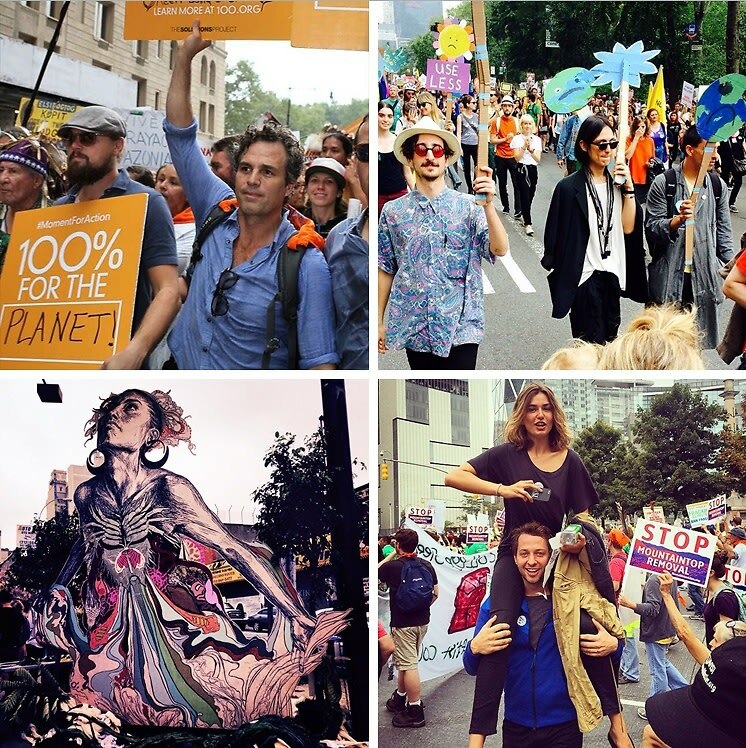 Led by A-list names like Leonardo DiCaprio and Mark Ruffalo, hundreds of thousands of environmentally-concerned citizens turned out to march the streets of Manhattan, holding signs, banners, art pieces, and more in order to call for action against harmful practices like fracking. Missed the momentous event? Don't worry, even activists use Instagram.